Endometriosis affects 1 in 10 women worldwide. It is a condition where tissue similar to the lining of the uterus is found outside of the uterus. This tissue acts like 'normal' endometrial tissue swelling and bleeding each month in response to hormonal changes, causing pain and inflammation. Symptoms of endometriosis can range from fatigue, pain in varying degrees and locations to bowel symptoms and infertility. Many women with Endometriosis will go undiagnosed for anywhere between 8 to 10 years on average. Lack of education and awareness play a role in this. From a young age, girls are lead to believe period pain is 'normal'. What about when the pain occurs more than just during “that time of the month”? What about when the pain is so severe it stops you from going to school or work? What about when a hospital is the only place you can access the kind of pain medication you need? What if it’s not the pain that affects you most you but a general feeling that something isn’t right? Fatigue? Difficulty breathing? The symptoms of endometriosis are incredibly diverse. It is an insidious condition. First things first, we need to continue to advocate for greater awareness about endometriosis and menstrual wellness. Understanding what is “normal” for our bodies will allow us to recognise when things are not as they should. Girls and women should be encouraged to talk about these issues and supported in pursuing more information when symptoms are occurring. Get in as much turmeric as you can, the more the better! Reducing red meat consumption to no more than 1 serving/week has been shown to reduce the risk of developing endometriosis and may also play a role in reducing recurrence (due to decreased trans-fatty acid and saturated fat consumption). Increasing the antioxidant capacity of your diet will help to reduce inflammation (a driver of endo). Antioxidants include colourful fruit and vegetables, e.g. berries, artichokes, red cabbage, beetroot, spinach + green tea. Foods that contribute to inflammation should be avoided. These include processed meats, packaged foods e.g. biscuits, chips, lollies, ice-cream, fast-food, fried foods and alcohol. Talk to a Nutritionist about how to eliminate these foods and what things to include instead. You’ll feel much better for it! Together, increased vegetable consumption and decreased red meat intake have been associated with a reduced risk of endometriosis recurrence. 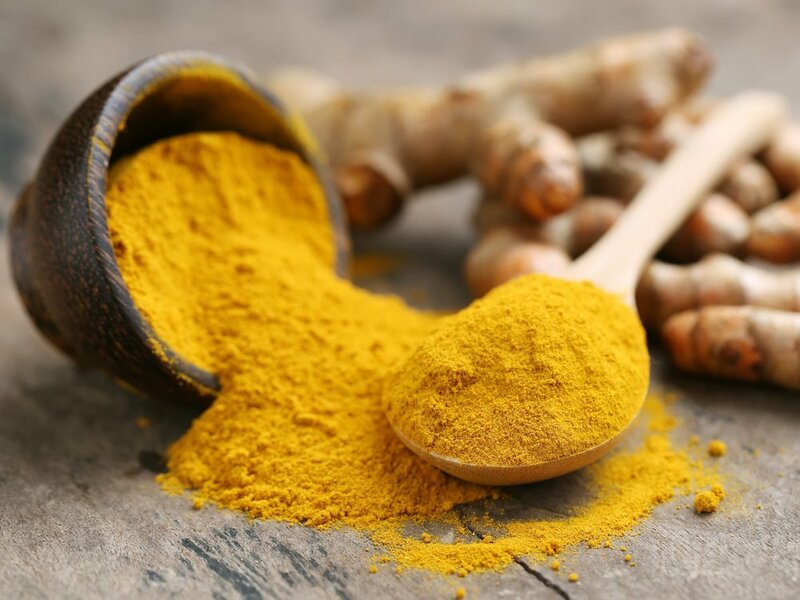 Adding powdered or fresh turmeric to smoothies, scrambled eggs, roast veggies, curries and stir-frys has been shown to help reduce inflammation. Consider a quality curcumin supplement. Curcumin being the active ingredient in turmeric has been shown to decrease endometrial proliferation. For its anti-inflammatory properties increase fish intake to 3-4 servings per week (wild-caught is best). Supplementation of good quality high dose fish oil (600mg EPA: 1200mg DHA), has been shown to reduce dysmenorrhoea (period pain). Talk to a Nutritionist about the best brand to take - not all are created equal! Diets high in fibre may lower endometriosis risk by increasing oestrogen excretion, decreasing the concentration of bioavailable oestrogen. Increasing vegetable consumption or following a plant-based diet can assist with adequate fibre intake. High fibre foods include pears with skin, avocado, broccoli, red lentils, flax seeds, barley, psyllium husks, cacao. Taken daily magnesium has been shown to help reduce period pain and promote healthy estrogen clearance (600 mg daily). Following a gluten-free diet has shown significant results in some small-scale studies in reducing pain associated with endometriosis. More research is needed, however anecdotal evidence also suggests a GF diet is beneficial for women with endometriosis who experience IBS type symptoms. Reducing products made from cow’s milk has also shown positive results in reducing dysmenorrhea, although more research is needed here too. Choosing organic fruit and vegetables where possible will reduce exposure to toxins and endocrine disrupting chemicals known to affect reproductive function. In summary, an anti-inflammatory diet with lots of antioxidant containing (colourful) foods, ample fibre, turmeric, magnesium and fish oils has been shown to reduce the recurrence of endometriosis after surgery and to help manage pain. As each women’s experience of endometriosis is different, I highly recommend working with a Nutritionist (as part of your current team) to put in place a nutritional management plan that best suits you and your particular needs. Feel free to send me an email with any questions nutrition@lexyslater.com.